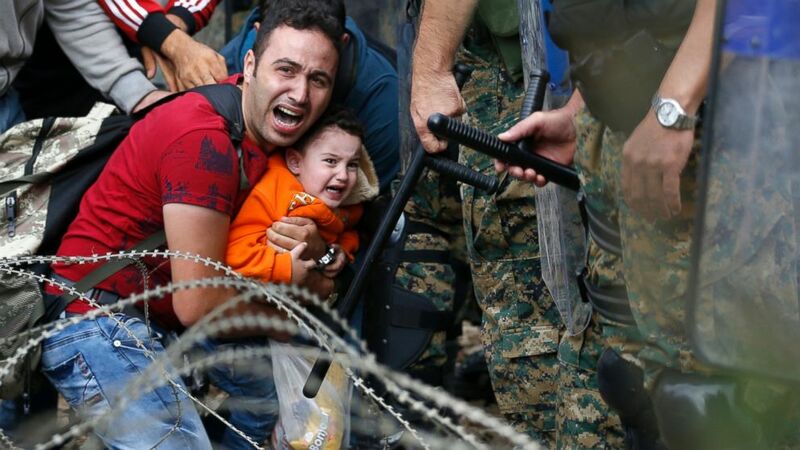 A refugee holding a boy react as they are stuck between Macedonian riot police officers and refugees during a clash near the border train station of Idomeni, northern Greece, Aug. 21, 2015. The world's six wealthiest countries, accounting for more than half of the global economy, have taken in fewer than 9 percent of the world’s record-high number of refugees, according to a report released today by Oxfam International. Poorer countries, often less equipped to deal with a mass influx of people fleeing conflict, are shouldering most of the international responsibility of taking in refugees and asylum seekers, the report shows. "Jordan, Turkey, Pakistan, Lebanon, South Africa, as well as the occupied Palestinian territory, host over 50 percent of the world’s refugees and asylum seekers but account for under 2 percent of the world’s economy," the charity group wrote in a statement announcing the report's release. Meanwhile the richest countries -- the United States, China, Japan, Germany, France and the United Kingdom -- hosted just 8.88 percent of the world's refugees and asylum seekers last year, These six countries account for 56.6 percent of the world's economy, measured in cumulative global GDP, according to Oxfam. “It is shameful so many governments are turning their backs on the suffering of millions of vulnerable people who have fled their homes and are often risking their lives to reach safety," Oxfam International's executive director, Winnie Byanyima, said in a statement. 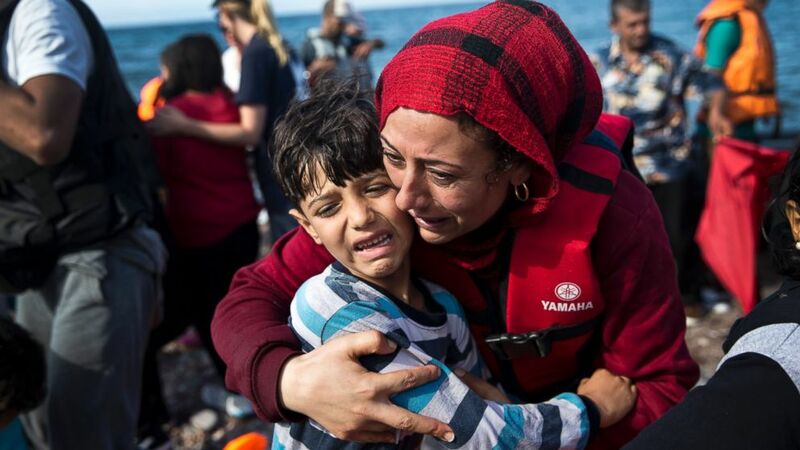 "Poorer countries are shouldering the duty of protecting refugees when it should be a shared responsibility, but many richer countries are doing next to nothing,"
PHOTO:A Syrian woman embraces her child after they arrived with others refugees on a dinghy from Turkey to Lesbos island, Greece, Sept. 11, 2015. The Oxfam report comes as the number of displaced people around the world reaches unprecedented levels. As of the end of 2015, more than 65 million people were displaced -- the highest number since record-keeping began, according to a recent report from the United Nations High Commissioner for Refugees. "Too many people who have taken treacherous journeys to reach safety end up living in degrading situations littered with abuse, hostility and discrimination, and too few governments are doing anywhere near enough to help or protect them," Byanyima said. She askedn the public to sign an Oxfam petition calling world leaders to action.